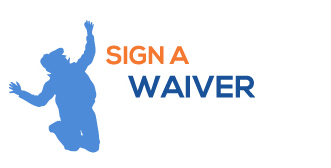 All Jumpers need a completed waiver. Jumpers under the age of 18 years old must have a valid waiver completed by their parent or legal guardian. Waivers are generally valid for one year from the date they were first filled out. These can be completed either online or in park at a Waiver Kiosk. All sales are final. You are not required to print your tickets, but you can bring in your order number for proof of purchase. Passes can be redeemed in park only. SkySocks are required to be worn before entering the court and can be purchased online with your ticket if you do not have a pair. Please arrive at least 30 minutes before your jump time. Sky Zone is not responsible for any lost jump time due to late arrivals. All Jumpers have access to the Main Court, Foam Zone, and SkySlam. 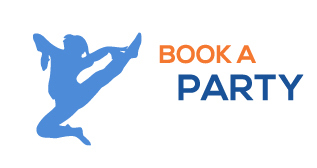 Dodgeball is available for ages 5 & older subject to availability. Because we care about your safety, the Main Court and Dodgeball games are separated by age/size such as 4 and under, 5-10, 11-15, and 16+.